This is not a commitment to lend. Not all borrowers will qualify. This is for illustrative purposes only and estimates are based on information you provided. Interest rates, mortgage insurance rates, and programs are subject to credit approval and available rates and terms will vary, sometimes drastically, based on borrower eligibility and program selected. For accurate interest rates and mortgage insurance rates please contact your insurance consultant. For illustrative purposes FHA/VA and USDA loan amounts will include an estimate for the financed upfront MI amount. We exist to help you make the best decisions possible on your insurance protection. 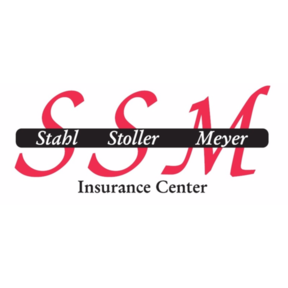 When you are looking for an insurance advisor for your automobile, homeowner, farm, life or virtually any small business, look to the professionals at Stahl Stoller Meyer. Our agency offers multiple insurance companies to align your family or your business with the company providing the best value and coverage. As your life changes, together, we will review your coverage and present you with options to make sure your protection changes with you. You deserve a relationship with an insurance advisor that exceeds your expectations and fosters your success! We welcome your inquiries and look forward to getting to know your family better. We treat our clients in a professional and personal manner, you are our friends. By registering you can expect personalized service from us. Your information is safe and only our office staff will see it.